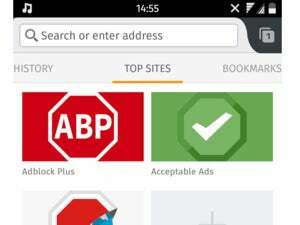 ABP is a browser extension available on Firefox (where the company claims it is the browser’s most used and downloaded extension) as well as Chrome, Opera, and Android, though it is not available via Google Play as Mountain View claims the software interferes "with another service or product in an unauthorized manner." The popular open source software gives users the ability to block “banners, pop-ups and video ads”—but not all ads are treated equally. According to the company, ABP allows these “non-intrusive” ads so websites can sustain themselves with ad-supported revenue. In order to be included on ABP's acceptable list, ads must adhere to a number of attributes such as not including animation, sound, or attention-grabbing images. If a website feels their paid ad content falls under these acceptable attributes, they can be ask to be whitelisted via a web form for free. We have reached out to ABP for further comment [Update: after publication, an ABP rep reached out with a comment, which we have included below this post]. For their part, the company has been fairly transparent with the process. However, Google is a multi-national entitity that makes most of its revenue through advertising. It would make sense for them to want to encourage the free flow of text-based Google ads, and when possible, discourage competition. Their financial influence over the popular ad gatekeeper could give them an unfair advantage over smaller companies that may want to break into the ad game. A cynic might resign themselves to the fact that the system is inherently uneven and tilted towards whoever is currently on the throne, but that doesn’t mean we shouldn’t strive to keep things fair. UPDATE: After publication an AdBlock Plus rep reached out to offer the following comment to our story: "Your headline implies that there might be something improper going on, and I can assure you that there is not. Google had to submit their ads to the public forum for whitelist consideration -- just like everybody else -- and their financial influence gains them no advantage over anyone else." This story, "Advertisers can pay AdBlock Plus to look the other way" was originally published by TechHive.